Hiya folks, been a little while since I've posted up any new bats, and though the bat accumulating has slowed significantly, it is still ongoing to some extent! Anyways, here's a nice Atomic 300 which I purchased from Six Sixes Cricket. Rob was great to deal with and very easy to communicate with. It's kind of funny how things can change quite a bit from when I was first on the forum. I believe Rob was the first chap I bought a bat off of, a gorgeous Black Cat Custom, and now he's started his own cricket shop which is fantastic. The bat came with fibre tape all the way along the edges and under the stickers, so I removed it by cutting with a Stanley knife and peeling. Came off surprisingly well, as I normally have a nightmare with fibre tape, But probably also due to it being a brand new bat. The bat itself is not a great looker, but with 6 reasonably straight and well spaced grains, it's not too shabby. It weighs in at around 2lb 8.8oz I believe, and the edges were 38mm and 41mm prior to rounding. The balance and pick up are good, with the bat feeling light, but not a featherlight pick up. The handle is a semi oval, but probably more on the round side of the spectrum. In terms of performance, it seems promising so far, And is responding nicely to the knocking in process. Obviously, it's nothing quite like it's bigger siblings such as the Warner and Halestorm, but at around 5-6 ounces lighter, I didn't expect that from it! Low down the performance is excellent, but higher up there is a bit of vibration, but not as much as before the knocking process which is always a good sign. Hitting area is pretty generous, being around 2.5 inches from the toe to 9.5 inches. Price point wise, at around the £150 mark in today's market, this offering is good value for money imo. With regards to the origins of this bat, I think Rob and I ended up going in circles - seems like GN throw curve balls with regards to tell take signs to the origins of bats, but regardless it is still an excellent bat. Plan to use it in the winter nets which start soon, so will be able to give a better idea as to how the bat feels against a ball! 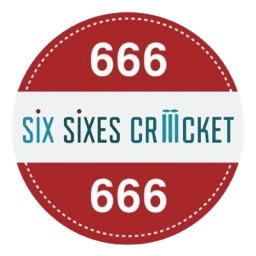 Thanks again to Rob @Six Sixes Cricket for answering all my questions and shipping this out so quickly. Those 300's really are a bargain at around the £150 price point especially considering they are all made in the UK. Million dollar question @Buzz , how do we tell what is uk made. @simonmay5 and myself asked on twitter about the Atomics which their account were happy to confirm they were.